What’s our knee jerk reaction when we see a kid doing something like this? That’s my 10-month old son — and he is CONSTANTLY into everything. 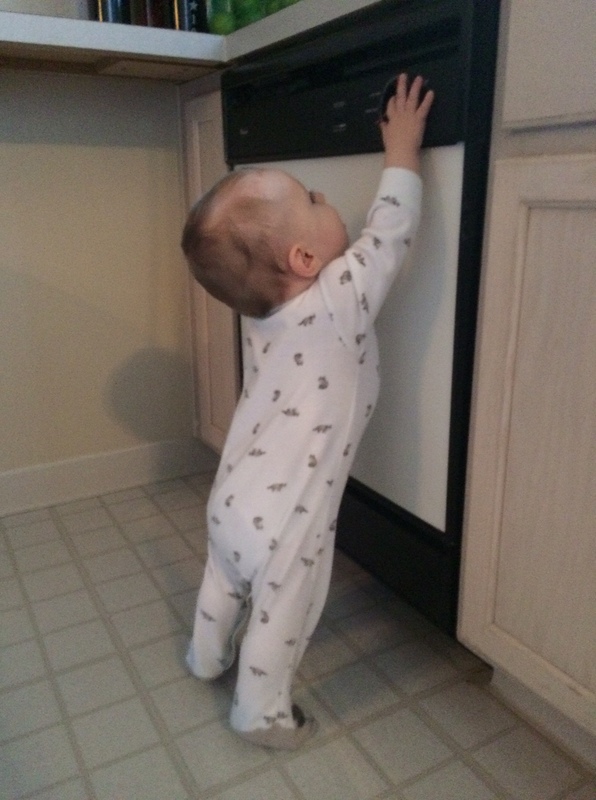 I must admit my split second reaction is one of “grab him and get him interested in something else.” But then I recall all the research I’m doing on childhood cognitive development and realize, “He’s playing, he’s exploring, he’s LEARNING.” And maybe one day soon he’ll help me with the dishes. Ha! We seem to accept this principle for the very young. Kindergartens are usually incredible spaces for exploration and play. But as children grow, we take away those opportunities in exchange for more adult-driven instruction. Why?